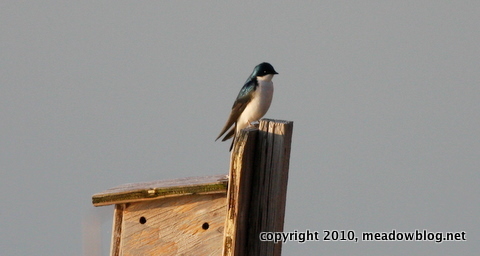 Tree Swallows are invading the Meadowlands these days and snapping up all the available housing. 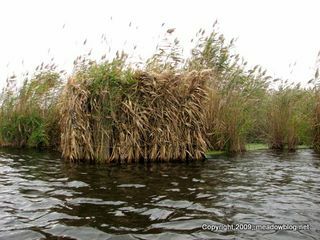 NJMC naturalists are erecting more nesting boxes the marshes, starting this week. 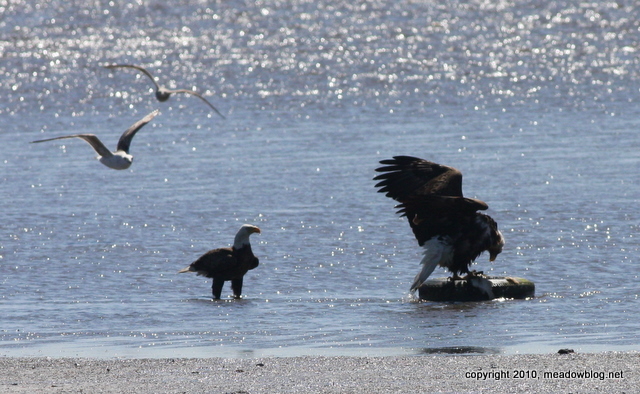 We took a late lunch today, and so did these two adult Bald Eagles. 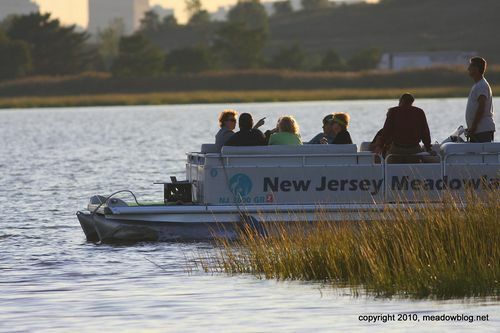 They opted for fish, and chose to dine in the Saw Mill Creek Tidal Impoundment, along the Transco Trail not far from the (currently closed) entrance to the Marsh Discovery Trail. The eagles were seen around 1 p.m., and again at 1:15 in the same area. 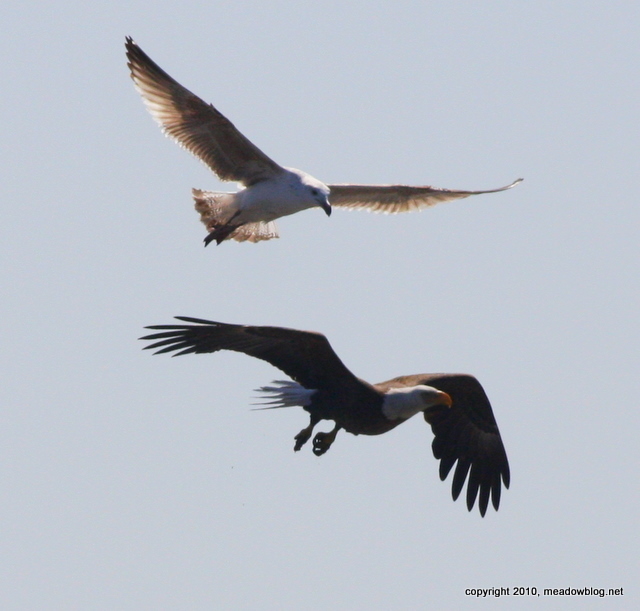 The gulls on the left were not happy and harassed one of the eagles, below. We'll try to post another pic of two later. Several birders saw the Northern Shrike on Disposal Road in the trees across from the NJMC Maintenance Shed. The bird has now been seen sporadically for 98 days(14 weeks). Photos were taken today. At some point we are going to make this dude pay rent. 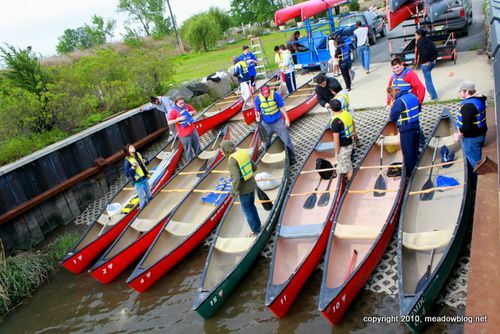 The Meadowlands Commission has announced its 2010 Guided Canoe Trip schedule, beginning on Saturday, May 15, at 8:30 a.m. at Mill Creek in Secaucus. 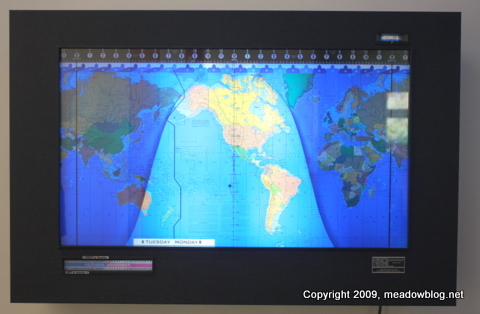 The trips last roughly three hours, for ages 10 and up. 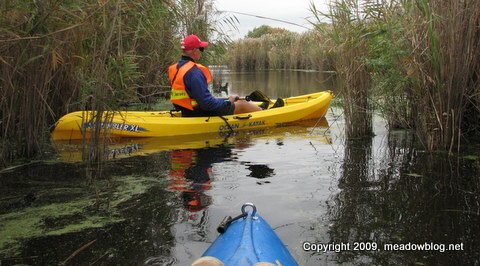 Each canoe will hold up to three people, and it is a good idea to have at least one person in the canoe with some paddling experience. Registration fee is $15 person, and preregistration is required. You can download the schedule and pre-registration form here. A quartet of birders found one of the Common Moorhens at the Kearny early this afternoon. 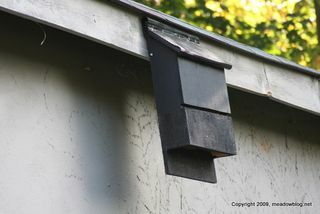 They saw the bird to the left as they looked out at the marsh from the Gunnell Oval. Best to bring a spotting scope if you go. Also there: Northern Shovelers, a couple of American Coots and a well-hidden Great Blue Heron. No reported sightings of the Disposal Road Northern Shrike, if anyone is still keeping score, but did have an Am. Kestrel and a few Redtails and Northern Harriers (including a Great Ghost) along this birders' highway. And, oh, we did see this Turkey Vulture on Valley Brook near the Solgar facility. He was looking longingly at a former rabbit lying in the road.